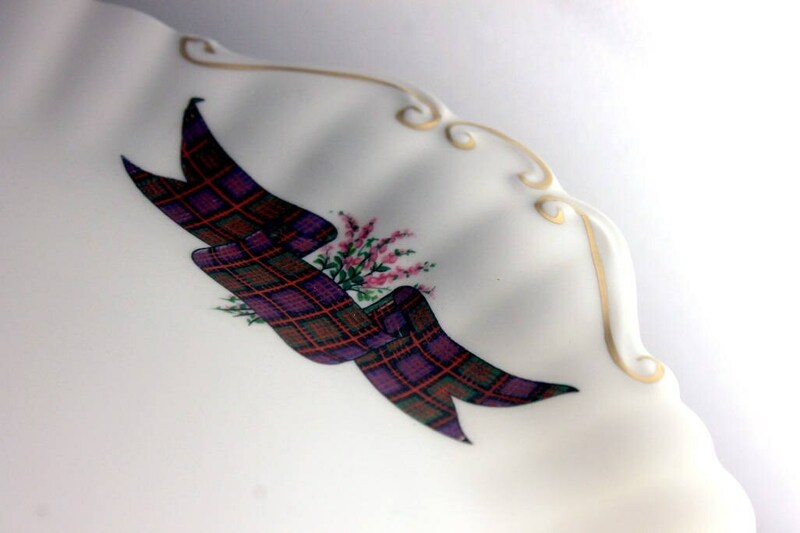 A charming cake plate from Royal Albert. 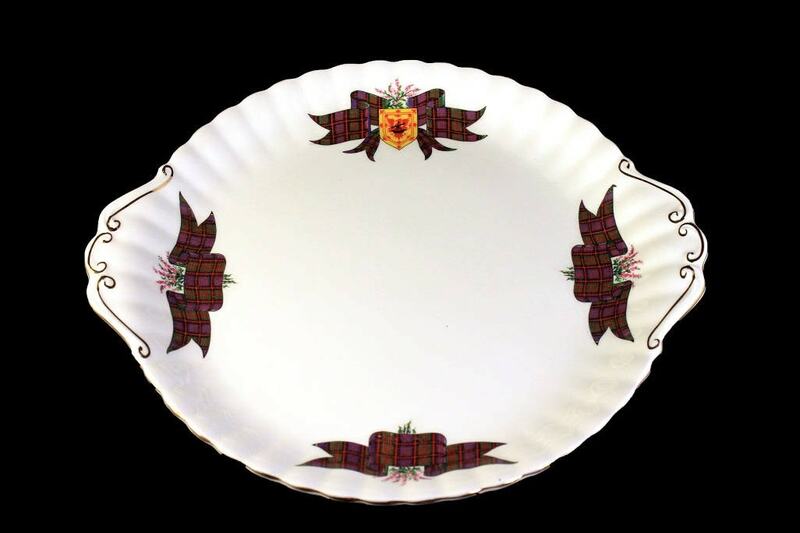 This cake plate is one of the Scottish Tartan Series and is called MacDonald. 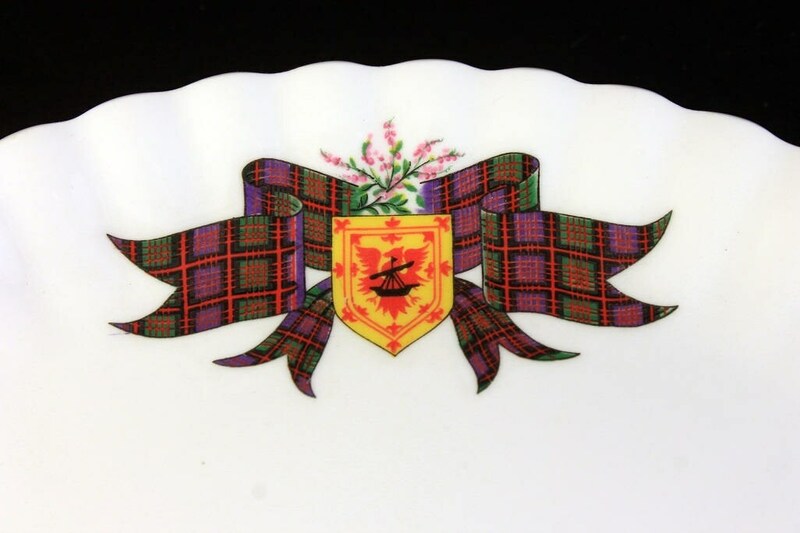 It has tartan ribbons with flowers on three sides and a shield, tartan ribbon, and flower on the forth side. 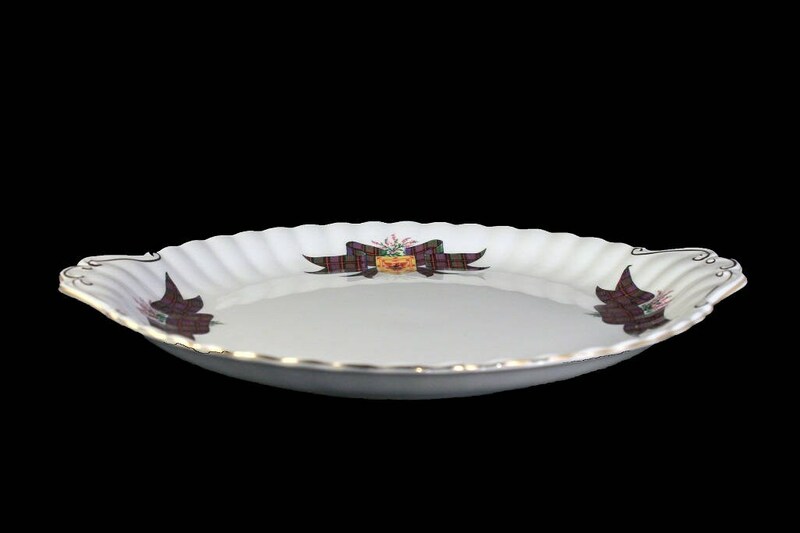 This would make a great serving dish for homemade cookies, cupcakes, or other goodies. 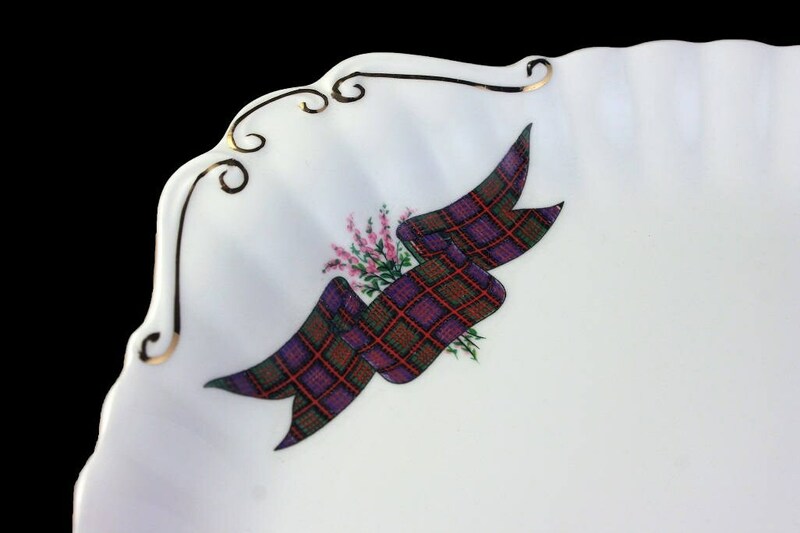 A wonderful decorative plate that would also make a great display plate. 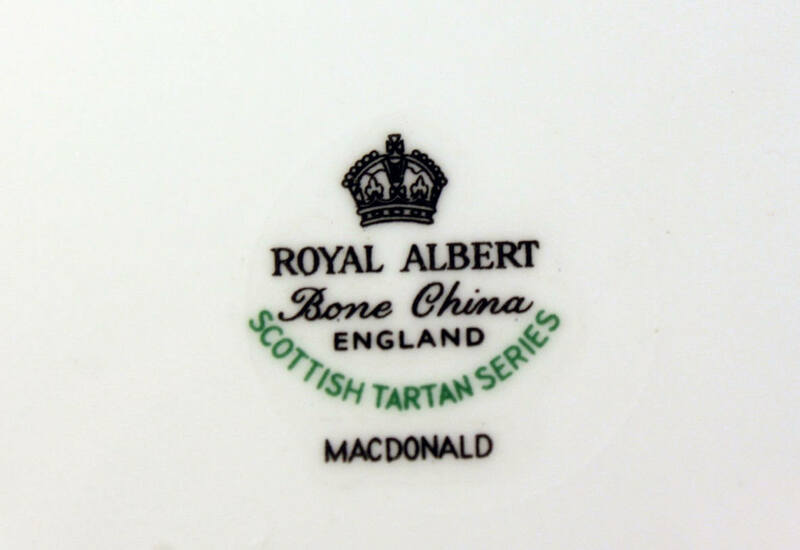 In the fourteenth century the MacDonalds, who assumed the title of Lord of the Isles which was the South Isles and part of the North Isles. Good John of Islay was reckoned first Lord of the Isles from 1354. From his first marriage to the heiress to the MacRuaris held on the Outer Isles and Garmoran, including Moidart, Knoydart, and Morvern. The inheritance he passed to his elder son Ranald, to be held under the suzerainty (superior feudal lordship) of his younger son Donald, the son of his second marriage to Margaret, daughter of King Robert II. Donald was the appointed Lord of the Isles and High Chief of Clan Donald. 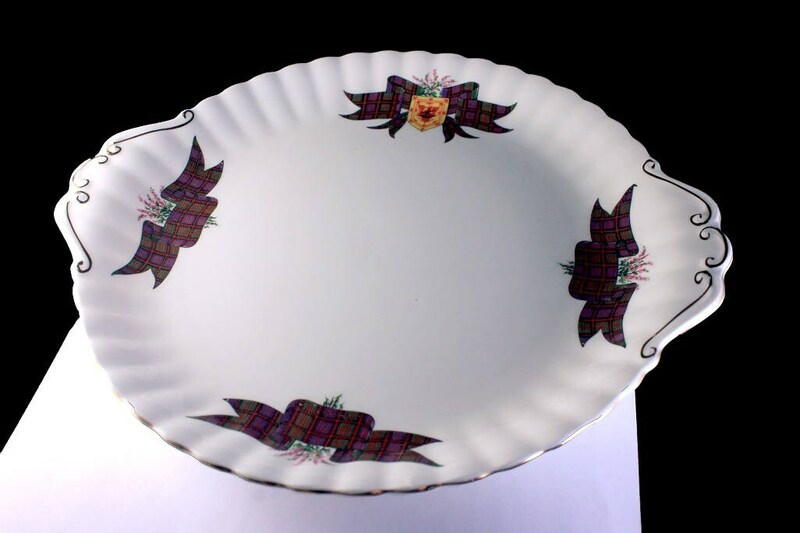 This cake plate is in excellent condition. There are no cracks, chips, or crazing.